Understanding the Basics of QSAR for Applications in Pharmaceutical Sciences and Risk Assessment describes the historical evolution of quantitative structure-activity relationship (QSAR) approaches and their fundamental principles. This book includes clear, introductory coverage of the statistical methods applied in QSAR and new QSAR techniques, such as HQSAR and G-QSAR. Containing real-world examples that illustrate important methodologies, this book identifies QSAR as a valuable tool for many different applications, including drug discovery, predictive toxicology and risk assessment. Written in a straightforward and engaging manner, this is the ideal resource for all those looking for general and practical knowledge of QSAR methods. 1. * (BOOK CHAPTER) Roy K, Das RN, On Extended Topochemical Atom (ETA) Indices for QSPR Studies. In: Advanced Methods and Applications in Chemoinformatics: Research Progress and New Applications (E A Castro, A K Hagi, Eds.) IGI Global, PA, 2011, pp. 380-411, http://www.igi-global.com/bookstore/chapter.aspx?titleid=56464 . 2. * (BOOK CHAPTER) Roy K, Kar S, The rm2 Metrics for Validation of QSAR/QSPR Models. In: Chemometrics Applications and Research. QSAR in Medicinal Chemistry (AG Mercader, PR Duchowicz, PM Sivakumar, Eds) Apple Academic Press, New Jersey, USA, 2015 (forthcoming), http://www.appleacademicpress.com/title.php?id=9781771881135 . 5. * (EDITED BOOK) Roy K, Quantitative Structure-Activity Relationships in Drug Design, Predictive Toxicology, and Risk Assessment, IGI Global, PA, 2015, http://www.igi-global.com/book/quantitative-structure-activity-relationships-drug/120080 . 6. 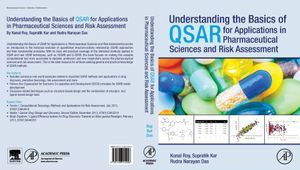 * (BOOK) Roy K, Kar S, Das RN, Understanding the Basics of QSAR for Applications in Pharmaceutical Sciences and Risk Assessment, Academic Press, 2015, http://books.google.co.uk/books/reader?id=bkFOBQAAQBAJ&printsec=frontcover&output=reader&source=gbs_atb&pg=GBS.PA23 . 7. * (BOOK) Roy K, Kar S, Das RN, A Primer on QSAR/QSPR Modeling: Fundamental Concepts (SpringerBriefs in Molecular Science), Springer, 2015, http://www.amazon.co.uk/Primer-QSAR-QSPR-Modeling-SpringerBriefs/dp/3319172808 . 8. * (BOOK CHAPTER) Roy K, Kar S, How to Judge Predictive Quality of Classification and Regression Based QSAR Models? In: Frontiers of Computational Chemistry (Zahir Ul Haq and J Madura, Eds), Bentham, 2015, 71-120. 9. * (BOOK CHAPTER) Roy K, Kar S, Importance of Applicability Domain of QSAR Models. In: Quantitative Structure-Activity Relationships in Drug Design, Predictive Toxicology, and Risk Assessment (Roy K, Ed), IGI Global, 2015, 180-211, http://dx.doi.org/10.4018/978-1-4666-8136-1.ch005 . 10. * (BOOK CHAPTER) Roy K, Das RN, The “ETA” Indices in QSAR/QSPR/QSTR Research. In: Quantitative Structure-Activity Relationships in Drug Design, Predictive Toxicology, and Risk Assessment (Roy K, Ed), IGI Global, 2015, 180-211, http://dx.doi.org/10.4018/978-1-4666-8136-1.ch002 . 14. * (BOOK CHAPTER) Kar S, Roy K, Leszczynski J, On Applications of QSARs in Food and Agricultural Sciences: History and Critical Review of Recent Developments. In Advances in QSAR Modeling. Applications in Pharmaceutical, Chemical, Food, Agricultural and Environmental Sciences (Roy K, Ed. ), Springer 2017, https://link.springer.com/chapter/10.1007/978-3-319-56850-8_7 . 247. * Ojha PK, Roy K, Development of a robust and validated 2D-QSPR model for sweetness potency of diverse functional organic molecules. Food and Chemical Toxicology, 2017, http://www.sciencedirect.com/science/article/pii/S0278691517301394 . 243. Das RN, Sintra T, Coutinho J, Ventura S, Roy K, Popelier, P, Development of predictive QSAR models for Vibrio fischeri toxicity of ionic liquids and their true external and experimental validation tests. Toxicol Res, 5, 2016, 1388-1399, http://dx.doi.org/10.1039/C6TX00180G . 241. * Ambure P, Roy K, Understanding Structural Requirements of Cyclic Sulfone Hydroxyethylamines as hBACE1 Inhibitors against Aβ Plaques in Alzheimer’s Disease: A Predictive QSAR Approach. RSC Advances, 6, 2016, 28171-28186, http://dx.doi.org/10.1039/C6RA04104C. 239. * Das RN, Roy K, Computation of chromatographic lipophilicity parameter logk0 of ionic liquid cations from “ETA” descriptors: Application in modeling of toxicity of ionic liquids to pathogenic bacteria. J Mol Liq, 2016 (In press), http://dx.doi.org/10.1016/j.molliq.2016.02.013 . 238. * Kar S, Gajewicz A, Roy K, Leszczynski J, Puzyn T, Extrapolating between toxicity endpoints of metal oxide nanoparticles: Predicting toxicity to Escherichia coli and human keratinocyte cell line (HaCaT) with Nano-QTTR. Ecotox Environ Saf, 126, 2016, 238-244, http://dx.doi.org/10.1016/j.ecoenv.2015.12.033 . 237. * Roy K, Das RN, Ambure P, Aher RB, Be aware of error measures. Further studies on validation of predictive QSAR models. Chemom Intell Lab Sys, 2016, Volume 152, 15 March 2016, Pages 18–33. http://dx.doi.org/10.1016/j.chemolab.2016.01.008 . 233. * Aher RA, Roy K, First report on exploring classification and regression based QSAR modeling of Plasmodium falciparum glycogen synthase kinase (PfGSK-3) inhibitors. SAR QSAR Environ Res 2015 (Accepted). 232. * Ambure P, Aher R, Gajewicz A, Puzyn T, Roy K, "NanoBRIDGES" software: Open access tools to perform QSAR and nano-QSAR modeling. Chemom Intell Lab Sys, 2015, Volume 147, 15 October 2015, Pages 1–13. (doi:10.1016/j.chemolab.2015.07.007). 231. * Das RN, Roy K, Popelier P, Exploring simple, transparent, interpretable and predictive QSAR models for classification and quantitative prediction of rat toxicity of ionic liquids using OECD recommended guidelines. Chemospher, 139, 2015, 163-173. 229. * Nandy A, Roy K, Saha A, Exploring molecular fingerprints of selective PPARδ agonists through comparative and validated chemometric techniques. SAR QSAR Environ Res, 26, 2015, 363-382, http://dx.doi.org/10.1080/1062936X.2015.1039576. 228. Roy K, Kar S, Ambure P, On a simple approach for determining applicability domain of QSAR models. Chemom Intell Lab Sys, 2015, http://dx.doi.org/10.1016/j.chemolab.2015.04.013 . 223. * Bubalo MC, Radošević K, Srček VG, Das RN, Popelier P, Roy K, Cytotoxicity towards CCO cells of imidazolium ionic liquids with functionalized side chains. Preliminary QSTR modeling using regression and classification based approaches. Ecotox Environ Saf, 2014. http://dx.doi.org/10.1016/j.ecoenv.2014.10.029. 222. * Roy K, Popelier PLA, Chemometric modeling of the chromatographic lipophilicity parameter logk0 of ionic liquid cations with ETA and QTMS descriptors. J Mol Liq, 2014 (In press), http://dx.doi.org/10.1016/j.molliq.2014.10.018 . 221. * Das S, Mitra I, Batuta S, Alam MN, Roy K, Begum NA, Design, synthesis and exploring the quantitative structure-activity relationship of some antioxidant flavonoid analogues. Bioorg Med Chem Lett, 2014, http://dx.doi.org/10.1016/j.bmcl.2014.09.028. 220. * Roy K, Das RN, A Review on Principles, Theory and Practices of 2D-QSAR. Current Drug Metabol, 2014 (In press), http://www.ncbi.nlm.nih.gov/pubmed/25204823 . 219. * Aher RB, Roy K, First report on two-fold classification of Plasmodium falciparum carbonic anhydrase inhibitors using QSAR modeling approaches. Comb Chem High Throughput Screen, 2014, http://www.ncbi.nlm.nih.gov/pubmed/25163527 . 206. * Pal P, Mitra I, Roy K, QSPR modeling of odor threshold of aliphatic alcohols using extended topochemical atom (ETA) indices. Croat Chem Acta, 2013 (Accepted). 205. * Aher RB, Roy K, Classification SAR modeling of diverse quinolone compounds for antimalarial potency against Plasmodium falciparum. Comb Chem High Throughput Screen, 2013 (Accepted). 204. * Ambure P, Kar S, Roy K, Pharmacophore Mapping-Based Virtual Screening Followed by Molecular Docking Studies in Search of Potential Acetylcholinesterase Inhibitors as Anti-Alzheimer's Agents. Biosystems, 2013, http://dx.doi.org/10.1016/j.biosystems.2013.12.002 . 201. * Pramanik S, Roy K, Exploring QSTR modeling and toxicophore mapping for identification of important molecular features contributing to the chemical toxicity in Escherichia coli. Toxicol in vitro, 2013, http://dx.doi.org/10.1016/j.tiv.2013.11.002. 200. * Das RN, Roy K, Predictive modeling studies for the ecotoxicity of ionic liquids towards the green algae Scenedesmus vacuolatus. Chemosphere, 2013, http://dx.doi.org/10.1016/j.chemosphere.2013.11.002. 199. * Pramanik S, Roy K, Modeling bioconcentration factor (BCF) using mechanistically interpretable descriptors computed from open source tool “PaDEL-Descriptor”. Environ Sci Pollut Res, 2013, http://dx.doi.org/10.1007/s11356-013-2247-z. 198. * Mridha P, Pal P, Roy K, Chemometric modeling of triphenylmethyl (TPM) derivatives as potent anticancer agents. Mol Simul 2013 (In press), http://dx.doi.org/10.1080/08927022.2013.854897. 197. * Ray S, Roy K, Modeling adsorption of organic compounds on activated carbon using ETA indices. Chem Engg Sci 104, 2013, 427-438, http://dx.doi.org/10.1016/j.ces.2013.09.018. 196. * Ojha PK, Roy K, First report on exploring structural requirements of alpha and beta thymidine analogs for PfTMPK inhibitory activity using in silico studies. Biosystems 2013 ( http://dx.doi.org/10.1016/j.biosystems.2013.07.005 ). 195. * Ojha PK, Roy K, Exploration of important sites of antimalarial endochins for optimum structural modification using group-based QSAR (G-QSAR) modeling. Curr Comput Aid Drug Des 2013 ( http://www.ncbi.nlm.nih.gov/pubmed/24010932 ). 194. * Ojha PK, Roy K, Exploring Structural Requirements for a Class of Nucleoside Inhibitors (PfdUTPase) as Antimalarials: First Report on QSAR, Pharmacophore Mapping and Multiple Docking Studies. Comb Chem High Throughput Screen 2013 (Accepted). 193. * Nandy A, Kar S, Roy K, Development and validation of regression based QSAR models for quantification of contributions of molecular fragments to skin sensitization potency of diverse organic chemicals. SAR QSAR Environ Res 2013 (Accepted). 191. * Kar S, Roy K, Prediction of milk/plasma concentration ratios of drugs and environmental pollutants using in silico tools: Classification and regression based QSARs and pharmacophore mapping. Mol Inform 2013 (Accepted). 189. * Das RN, Roy K, QSTR with extended topochemical atom (ETA) indices. 16. Development of predictive classification and regression models for toxicity of ionic liquids towards Daphnia magna. J Hazard Mater 2013 (Accepted), http://dx.doi.org/10.1016/j.jhazmat.2013.03.023 . 188. * Mitra I, Saha A, Roy K, Quantification of contributions of different molecular fragments for antioxidant activity of coumarin derivatives based on QSAR analyses. Canadian J Chem 2013, http://dx.doi.org/10.1139/cjc-2012-0527 . 187. * Kar S, Roy K, How far can virtual screening take us in drug discovery? Expert Opin Drug Discov, 8, 2013, 245-261, http://dx.doi.org/10.1517/17460441.2013.761204 . 186. * Roy K, Chakraborty P, Mitra I, Ojha PK, Kar S, Das RN, Some case studies on application of “rm2” metrics for judging quality of QSAR predictions: Emphasis on scaling of response data. J Comput Chem 2013, http://dx.doi.org/10.1002/jcc.23231 . 185. * Mitra I, Saha A, Roy K, Predictive chemometric modeling of DPPH free radical scavenging activity of azole derivatives using 2D- and 3D-QSAR tools. Future Med Chem, 5, 2013, 261-280, http://dx.doi.org/10.4155/FMC.12.207/. 182. * Kar S, Roy K, Prediction of hERG potassium channel blocking actions using combination of classification and regression based models: A mixed descriptors approach. Mol Inform 31, 2012, 879-894, http://dx.doi.org/10.1002/minf.201200039 . 181. * Pal P, Mitra I, Roy K, Predictive QSPR modeling for olfactory threshold of a series of pyrazine derivatives. Flavour Frag J, 28, 2013, 102-117, http://dx.doi.org/10.1002/ffj.3135 . 180. * Kar S, Roy K, First report on predictive chemometric modeling, 3D-toxicophore mapping and in silico screening of in vitro basal cytotoxicity of diverse organic chemicals. Toxicol in vitro, 27, 2013, 597-608, http://dx.doi.org/10.1016/j.tiv.2012.10.015 . 179. * Saha A, Roy K, In Silico Modeling for Prediction of Drug-Induced Adverse Reactions and Environmental Hazards Using QSAR Tools (Editorial). Current Drug Safety, 7, 2012, 255-256, http://www.benthamdirect.org/pages/article/1/3183046/editorial-hot-topic-in-silico-modeling-for-prediction-of-drug-induced-adverse-reactions-and-environmental-hazards-using-qsar-tools.html . 178. * Nandy A, Kar S, Roy K, Linear discriminant analysis for skin sensitization potential of diverse organic chemicals. Molecular Simulation, 2013, http://dx.doi.org/10.1080/08927022.2012.738421 . 175. * Ojha PK, Roy K, First report on exploring structural requirements of 1,2,3,4-tetrahydroacridin-9(10H)-one analogs as antimalarials using multiple QSAR approaches: Descriptor-based QSAR, CoMFA-CoMSIA 3D-QSAR, HQSAR and G-QSAR approaches. Comb Chem High Throughput Screen, 16, 2013, 7-21, http://www.ncbi.nlm.nih.gov/pubmed/22963325 . 174. * Ojha PK, Mitra I, Kar S, Das RN, Roy K, Lead hopping for PfDHODH inhibitors as antimalarials based on pharmacophore mapping, molecular docking and comparative binding energy analysis (COMBINE): A three-layered virtual screening approach. Mol Inform 31, 2012, 711-718, http://dx.doi.org/10.1002/minf.201200045 . 172. * Roy K, Kabir H, QSPR with extended topochemical atom (ETA) indices. 3. Modeling of critical micelle concentration of cationic surfactants. Chemical Engineering Science, 81, 2012, 169-178, http://dx.doi.org/10.1016/j.ces.2012.07.008 . 171. * Das RN, Roy K, Development of classification and regression models for Vibrio fischeri toxicity of ionic liquids: Green solvents for the future. Toxicol Res 1, 2012, 186-195, http://dx.doi.org/10.1039/C2TX20020A . 170. * Roy K, Mitra I, Ojha PK, Kar S, Das RN, Kabir H, Introduction of rm2(rank) metric incorporating rank-order predictions as an additional tool for validation of QSAR/ QSPR models. Chemom Intell Lab Sys 118, 2012, 200-210, http://dx.doi.org/10.1016/j.chemolab.2012.06.004 . 169. * Roy K, Das RN, QSPR with extended topochemical atom (ETA) indices. 4. Modeling aqueous solubility of drug like molecules and agrochemicals following OECD guidelines. Struc Chem 24, 2013, 303-331, http://dx.doi.org/10.1007/s11224-012-0080-5 . 167. * Mitra I, Roy K, Electrotopological state atom (E-state) Index in Drug Design, QSAR, Property Prediction and Toxicity Assessment. Curr Comp Aid Drug Des 8, 2012, 135-158, http://www.benthamdirect.org/pages/content.php?CAD/2012/00000008/00000002/D0007AD.SGM . 166. * Mitra I, Roy K, On the Use of the Metric rm2 as an Effective Tool for Validation of QSAR Models in Computational Drug Design and Predictive Toxicology. Mini Rev Med Chem 12, 2012, 491-504, http://www.benthamdirect.org/pages/content.php?MRMC/2012/00000012/00000006/0006N.SGM . 165. * Mitra I, Saha A, Roy K, In silico development, validation and comparison of predictive QSAR models for lipid peroxidation inhibitory activity of cinnamic acid and caffeic acid derivatives using multiple chemometric and cheminformatics tools, J Mol Model 18, 2012, 3951-3967, http://dx.doi.org/10.1007/s00894-012-1392-5 . 164. * Roy K, Kabir H, QSPR with extended topochemical atom (ETA) indices. Modeling of critical micelle concentration of non-ionic surfactants. Chem Engg Sci 73, 2012, 86-98, http://dx.doi.org/10.1016/j.ces.2012.01.005 . 163. * Roy K, Mitra I, Kar S, Ojha PK, Das RN, Kabir H, Comparative studies on some metrics for external validation of QSPR models. J Chem Inf Model, 52, 2012, 396-408, http://pubs.acs.org/doi/abs/10.1021/ci200520g . 162. * Kar S, Roy K, First report on development of quantitative interspecies structure-carcinogenicity relationship models and exploring discriminatory features for rodent carcinogenicity of diverse organic chemicals using OECD guidelines. Chemosphere, 87, 2012, 339-355, http://dx.doi.org/10.1016/j.chemosphere.2011.12.019 . 161. * Kar S, Roy K, Risk Assessment for Ecotoxicity of Pharmaceuticals - An Emerging Issue. Expert Opin Drug Saf 11, 2012, 235-274, http://dx.doi.org/10.1517/14740338.2012.644272 . 160. * Roy K, Das RN, QSTR with extended topochemical atom (ETA) indices. 15. Development of predictive models for toxicity of organic chemicals against fathead minnow using second generation ETA indices. SAR QSAR Environ Res 23, 2012, 125-140, http://dx.doi.org/10.1080/1062936X.2011.645872 . 159. * Ojha PK, Roy K, Comparative QSARs for antimalarial endochins: Importance of descriptor-thinning and noise reduction prior to feature selection. Chemom Intell Lab Sys 109, 2011, 146-161, http://dx.doi.org/10.1016/j.chemolab.2011.08.007 . 158. * Mitra I, Saha A, Roy K, Development of multiple QSAR models for consensus predictions and unified mechanistic interpretations of free radical scavenging activity of chromone derivatives. J Mol Model 18, 2012, 1819-1840, http://dx.doi.org/10.1007/s00894-011-1198-x . 154. Kar S, Roy K, Development and validation of a robust QSAR model for prediction of carcinogenicity of drugs. Indian J Biochem Biophys 48, 2011, 111-122, http://nopr.niscair.res.in/bitstream/123456789/11614/1/IJBB%2048%282%29%20111-122.pdf . 153. Kar S, Roy K, Predictive toxicology using QSAR: A perspective. J Indian Chem Soc 87, 2010, 1455-1515, http://indianchemsoc.org/journals/dec10.pdf . 150. * Mitra I, Saha A, Roy K, Chemometric QSAR modeling and in silico design of antioxidant NO donor phenols. Scientia Pharmaceutica 79, 2011, 31-57, http://dx.doi.org/10.3797/scipharm.1011-02 . 149. * Mitra I, Saha A, Roy K, QSPR of antioxidant phenolic compounds using quantum chemical descriptors. Molecular Simulation 37, 2011, 394-413, http://dx.doi.org/10.1080/08927022.2010.543980 . 148. * Prankishore D, Balakumar C, Raghuram Rao A, Roy PP, Roy K, QSAR of adenosine receptor antagonists: Exploring physicochemical requirements for binding of pyrazolo[4,3-e]-1,2,4-triazolo[1,5-c]pyrimidine derivatives with human adenosine A3 receptor subtype. Bioorg Med Chem Lett 21, 2011, 930-935, http://dx.doi.org/10.1016/j.bmcl.2010.11.094 . 147. * Mitra I, Saha A, Roy K, Chemometric modeling of free radical scavenging activity of flavone derivatives. Eur J Med Chem 45, 2010, 5071-5079, http://dx.doi.org/10.1016/j.ejmech.2010.08.016 . 146. * Roy K, Das RN, QSTR with extended topochemical atom (ETA) indices. 14. QSAR modeling of toxicity of aromatic aldehydes to Tetrahymena pyriformis. J Hazard Mater 183, 2010, 913-922, http://dx.doi.org/10.1016/j.jhazmat.2010.07.116 . 145. * Ojha PK, Roy K, Chemometric modeling, docking and in silico design of triazolopyrimidine based dihydroorotate dehydrogenase inhibitors as antimalarials. Eur J Med Chem 45, 2010, 4645-4656, http://dx.doi.org/10.1016/j.ejmech.2010.07.034 . 144. * Roy K, Kar S, First report on interspecies quantitative correlation of ecotoxicity of pharmaceuticals. Chemosphere, 81, 2010, 738-747, http://dx.doi.org/10.1016/j.chemosphere.2010.07.019 . 143. * Roy K, Ghosh G, Exploring QSARs with Extended Topochemical Atom (ETA) Indices for Modeling Chemical and Drug Toxicity. Current Pharm Des, 16, 2010, 2625-2639, http://www.bentham.org/cpd/contabs/cpd16-24.html, http://www.benthamdirect.org/pages/b_viewarticle.php?3161953 . 142. * Mitra I, Saha A, Roy K, Exploring quantitative structure-activity relationship (QSAR) studies of antioxidant phenolic compounds obtained from traditional Chinese medicinal plants. Molecular Simulation 36, 2010, 1067-1079, http://dx.doi.org/10.1080/08927022.2010.503326 . 141. * Roy K, Ojha PK, Advances in quantitative structure-activity relationship models of antimalarials. Expert Opin Drug Discov 5, 2010, 751-778, http://dx.doi.org/10.1517/17460441.2010.497812 . 140. * Roy PP, Roy K, Molecular docking and QSAR studies of aromatase inhibitor androstenedione derivatives. J Pharm Pharmacol, 62, 2010, 1717-1728, http://dx.doi.org/10.1111/j.2042-7158.2010.01154.x . 139. * Ojha PK, Roy K, Chemometric modelling of antimalarial activity of aryltriazolylhydroxamates. Molecular Simulation, 36, 2010, 939-952, http://dx.doi.org/10.1080/08927022.2010.492835 . 138. * Roy PP, Roy K, Pharmacophore mapping, molecular docking and QSAR studies of structurally diverse compounds as CYP2B6 Inhibitors. Molecular Simulation, 36, 2010, 887-905, http://dx.doi.org/10.1080/08927022.2010.492834 . 137. * Ray S, Roy PP, Sengupta C, Roy K, Exploring QSAR of hydroxyphenylureas as antioxidants using physicochemical and electrotopological state (E-State) atom parameters. Molecular Simulation, 36, 2010, 484–492, http://dx.doi.org/10.1080/08927021003664058 . 136. * Roy PP, Roy K, Docking and 3D-QSAR studies of diverse classes of human aromatase (CYP19) inhibitors. J Mol Model, 16, 2010, 1597-1616, http://dx.doi.org/10.1007/s00894-010-0667-y . 135. * Mitra I, Saha A, Roy K, Pharmacophore mapping of arylamino substituted benzo[b]thiophenes as free radical scavengers. J Mol Model, 16, 2010, 1585-1596, http://dx.doi.org/10.1007/s00894-010-0661-4 . 134. * Begum NA, Roy N, Laskar RA, Roy K, Mosquito larvicidal studies of some chalcone analogues and their derived products: structure - activity relationship analysis. Med Chem Res, 20, 2011, 184-191, http://dx.doi.org/10.1007/s00044-010-9305-6 . 133. * Kar S, Harding AP, Roy K, Popelier P, QSAR with Quantum Topological Molecular Similarity Indices: Toxicity of Aromatic Aldehydes to Tetrahymena pyriformis. SAR QSAR Environ Res, 21, 2010, 149 - 168, http://www.informaworld.com/10.1080/10629360903568697 . 132. * Kar S, Roy K, QSAR modeling of toxicity of diverse organic chemicals to Daphnia magna using 2D and 3D descriptors. J Hazard Mater, 177, 2010, 344-351, http://dx.doi.org/10.1016/j.jhazmat.2009.12.038. 131. * Roy PP, Roy K, Classical and 3D-QSAR studies of cytochrome 17 inhibitor imidazole substituted biphenyls. Molecular Simulation, 36, 2010, 311-325, http://dx.doi.org/10.1080/08927020903426493 .. 130. * Mitra I, Roy PP, Kar S, Ojha P, Roy K, On further application of rm2 as a metric for validation of QSAR models. J Chemometrics, 24, 2010, 22-33, http://dx.doi.org/10.1002/cem.1268 . 129. * Roy K, Paul S, Docking and 3D-QSAR studies of acetohydroxy acid synthase inhibitor sulfonylurea derivatives. J Mol Model, 16, 2010, 951-964, http://dx.doi.org/10.1007/s00894-009-0596-9 . 128. * Roy K, Mitra I, Advances in QSAR models of antioxidants. Expert Opin Drug Discov, 4, 2009, 1157 – 1175, http://dx.doi.org/10.1517/17460440903307409 . 127. * Roy K, Mitra I, Saha A, Molecular shape analysis of antioxidant and squalene synthase inhibitory activities of aromatic tetrahydro-1,4-oxazine derivatives. Chem Biol Drug Des, 74, 2009, 507-516, http://dx.doi.org/10.1111/j.1747-0285.2009.00888.x . 126. * Roy K, Ghosh G, QSTR with extended topochemical atom (ETA) indices. 12. QSAR for the toxicity of diverse aromatic compounds to Tetrahymena pyriformis using chemometric tools. Chemosphere, 77, 2009, 999-1009, http://dx.doi.org/10.1016/j.chemosphere.2009.07.072 . 125. * Roy K, Roy PP, QSAR of cytochrome inhibitors. Expert Opin Drug Metabol Toxicol, 5, 2009, 1245-1266, http://dx.doi.org/10.1517/17425250903158940 . 124. * Roy PP, Roy K, Exploring QSAR for CYP11B2 binding affinity and CYP11B2/CYP11B1 selectivity of diverse functional compounds using GFA and G/PLS techniques. J Enz Inhib Med Chem, 25, 2010, 354-369, http://dx.doi.org/10.3109/14756360903179476 . 123. * Roy K, Paul S, Docking and 3D QSAR studies of protoporphyrinogen oxidase inhibitor 3H-pyrazolo[3,4-d][1,2,3]triazin-4-one derivatives. J Mol Model, 16, 2010, 137-153, http://dx.doi.org/10.1007/s00894-009-0528-8 . 122. * Roy K, Ghosh G, QSTR with extended topochemical atom (ETA) Indices. 13. Modeling of hERG K+ channel blocking activity of diverse functional drugs using different chemometric tools. Molecular Simulation, 15, 2009, 1256-1268, http://dx.doi.org/10.1080/08927020903015379 . 121. * Roy PP, Paul S, Mitra I, Roy K, On two novel parameters for validation of predictive QSAR models. 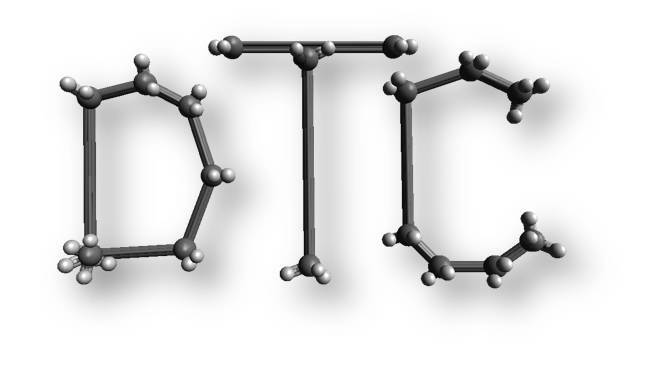 Molecules, 14, 2009, 1660-1701, http://dx.doi.org/10.3390/molecules14051660 . 120. * Mitra I, Roy K, Saha A, QSAR of anti-lipid peroxidative activity of substituted benzodioxoles using chemometric tools. J Comput Chem, 30, 2009, 2712-2722, http://dx.doi.org/10.1002/jcc.21298 . 119. * Mitra I, Saha A, Roy K, QSAR modeling of antioxidant activities of hydroxybenzalacetones using quantum chemical, physicochemical and spatial descriptors. Chem Biol Drug Des, 73, 2009, 526-536, http://dx.doi.org/10.1111/j.1747-0285.2009.00801.x . 118. * Roy P P & Roy K, QSAR studies of CYP2D6 inhibitor aryloxypropanolamines using 2D and 3D descriptors. Chem Biol Drug Des, 73, 2009, 442-455, http://dx.doi.org/10.1111/j.1747-0285.2009.00791.x . 117. * Roy K, Ghosh G, QSTR with extended topochemical atom (ETA) indices. 11. Comparative QSAR of acute NSAID cytotoxicity in rat hepatocytes using chemometric tools. Molecular Simulation, 35, 2009, 648-659, http://dx.doi.org/10.1080/08927020902744664 . 116. * Roy K & Roy PP, Comparative chemometric modeling of cytochrome 3A4 inhibitory activity of structurally diverse compounds using stepwise MLR, FA-MLR, PLS, GFA, G/PLS and ANN techniques. Eur J Med Chem, 44, 2009, 2913-2922, http://dx.doi.org/10.1016/j.ejmech.2008.12.004 . 115. * Roy K & Paul S, Exploring 2D and 3D QSARs of 2,4-diphenyl-1,3-oxazolines for ovicidal activity against Tetranychus urticae. QSAR Comb Sci, 28, 2009, 406-425, http://dx.doi.org/10.1002/qsar.200810130 . 114. * Roy K & Roy PP, Exploring QSAR and QAAR for Inhibitors of Cytochrome P450 2A6 and 2A5 Enzymes Using GFA and G/PLS Techniques. Eur J Med Chem, 44, 2009, 1941-1951, http://dx.doi.org/10.1016/j.ejmech.2008.11.010 . 113. * Roy K & Roy PP, Comparative QSAR studies of CYP1A2 inhibitor flavonoids using 2D and 3D descriptors. Chem Biol Drug Des, 72, 2008, 370-382, http://dx.doi.org/10.1111/j.1747-0285.2008.00717.x . 112. * Roy K & Ghosh G, QSTR with Extended Topochemical Atom (ETA) Indices. 10. Modeling of Toxicity of Organic Chemicals to Humans Using Different Chemometric Tools. Chem Biol Drug Des, 72, 2008, 383-394, http://dx.doi.org/10.1111/j.1747-0285.2008.00712.x . 111. * Roy K & Popelier P, Predictive QSPR modeling of acidic dissociation constant (pKa) of phenols in different solvents, J Phys Org Chem, 22, 2009, 186-196, http://dx.doi.org/10.1002/poc.1447 . 110. * Mandal A S & Roy K, Predictive QSAR modeling of HIV reverse transcriptase inhibitor TIBO derivatives. Eur J Med Chem, 44, 2009, 1509-1524, http://dx.doi.org/10.1016/j.ejmech.2008.07.020 . 109. Ray S, De K, Sengupta C & Roy K, QSAR study of lipid peroxidation-inhibition potential of some phenolic antioxidants. Indian J Biochem Biophys, 45, 2008, 198-205. 108. * Roy K & Popelier P L A, Exploring Predictive QSAR Models Using Quantum Topological Molecular Similarity (QTMS) Descriptors for Toxicity of Nitroaromatics to Saccharomyces cerevisiae. QSAR Comb Sci, 27, 2008, 1006-1012, http://dx.doi.org/10.1002/qsar.200810028. 107. * Roy K & Popelier P L A, Exploring predictive QSAR models for hepatocyte toxicity of phenols using QTMS descriptors. Bioorg Med Chem Lett, 18, 2008, 2604–2609, http://dx.doi.org/10.1016/j.bmcl.2008.03.035 . 106. * Roy K & Roy P P, Exploring QSARs for Binding Affinity of Azoles with CYP2B and CYP3A Enzymes Using GFA and G⁄PLS Techniques. Chem Biol Drug Des, 71, 2008, 464-473, http://dx.doi.org/10.1111/j.1747-0285.2008.00658.x . 105. * Roy K & Mandal A S, Predictive QSAR modeling of CCR5 antagonist piperidine derivatives using chemometric tools. J Enz Inh Med Chem, 24, 2009, 205-223, http://dx.doi.org/10.1080/14756360802051297 . 104. * Ray S, Sengupta C & Roy K, QSAR modeling for lipid peroxidation inhibition potential of flavonoids using topological and structural parameters. Central Eur J Chem, 6, 2008, 267-276, http://dx.doi.org/10.2478/s11532-008-0014-7 . 103. *Roy K, Mandal A S, Development of linear and nonlinear predictive QSAR models and their external validation using molecular similarity principle for anti-HIV indolyl aryl sulfones. J Enz Inh Med Chem, 23, 2008, 980-995, http://dx.doi.org/10.1080/14756360701811379 . 102. * Roy K, On some aspects of validation of predictive QSAR models. Expert Opin Drug Discov, 2, 2007, 1567-1577, http://dx.doi.org/10.1517/17460441.2.12.1567 . 100* Roy P P, Leonard J T & Roy K, Exploring the impact of the size of training sets for the development of predictive QSAR models. Chemom Intell Lab Sys, 90, 2008, 31-42, http://dx.doi.org/10.1016/j.chemolab.2007.07.004 . 99. Ray S, Roy K & Sengupta C, Evaluation of Protective Effects of Water Extract of Spirulina platensis (blue green algae) on Cisplatin-Induced Lipid Peroxidation. Indian J Pharm Sci, 69, 2007, 378-383. http://www.ijpsonline.com/article.asp?issn=0250-474X;year=2007;volume=69;issue=3;spage=378-383. 96. * De K, Roy K & Sengupta C, Inhibition of lipid peroxidation induced by hydroxyprogesterone caproate by some conventional antioxidants in goat liver homogenates. Acta Pol Pharm, 64, 2007, 201-210. 95. * Chakraborty S, Roy K & Sengupta C, Exploring effects of different nonsteroidal anti-inflammatory drugs on lipid peroxidation. Part II. 4-HNE profile. Acta Pol Pharm, 64, 2007, 211-216. 94. * Roy P P & Roy K, On some aspects of variable selection for partial least squares regression models. QSAR Comb Sci, 27, 2008, 302-313, http://dx.doi.org/10.1002/qsar.200710043 . 93. Chakraborty S, Sengupta C & Roy K, Comparative QSAR modeling of COX-2 inhibitor 1,2-diarylimidazoles using E-state and physicochemical parameters. Indian J Biochem Biophys, 44, 2007, 169-175. 91. * Leonard J T and Roy K, Comparative Classical QSAR Modeling of Anti-HIV Thiocarbamates. QSAR Comb Sci, 26, 2007, 980-990, http://dx.doi.org/10.1002/qsar.200630140 . 90. * Leonard J T and Roy K, Exploring molecular shape analysis of styrylquinoline derivatives as HIV-1 integrase inhibitors. Eur J Med Chem, 43, 2008, 81-92, http://dx.doi.org/10.1016/j.ejmech.2007.02.021 . 89. Dalai M K, Leonard J T and Roy K, Exploring QSAR of peripheral benzodiazepine receptor binding affinity of 2-phenylpyrazolo[1,5-a]pyrimidin-3-yl-acetamides using topological and physicochemical descriptors. Indian J Chem, 45B, 2006, 2497-2505. 88. * Roy K, Sanyal I and Ghosh G, QSPR of n-Octanol/Water Partition Coefficient of Nonionic Organic Compounds Using Extended Topochemical Atom (ETA) Indices. QSAR Comb Sci, 25, 2006, 629-646, http://dx.doi.org/10.1002/qsar.200610112 . 87. * Roy K, Sanyal I and Roy P P, QSPR of the Bioconcentration Factors of Nonionic Organic Compounds in Fish using Extended Topochemical Atom (ETA) Indices. SAR QSAR Environ Res, 17, 2006, 563-582. http://dx.doi.org/10.1080/10629360601033499 . 86. * Roy K, Toropov A and Raska I Jr, QSAR modeling of peripheral versus central benzodiazepine receptor binding affinity of 2-phenylimidazo[1,2-a]pyridineacetamides using optimal descriptors calculated with SMILES. QSAR Comb Sci, 26, 2007, 460-468, http://dx.doi.org/10.1002/qsar.200630072 . 85. * Roy K, Ecotoxicological modeling and risk assessment using chemometric tools. Mol Divers, 10, 2006, 93-94. http://dx.doi.org/10.1007/s11030-006-9025-5 . 83. Ray S, Roy K & Sengupta C, Cisplatin-induced lipid peroxidation and its inhibition with ascorbic acid. Indian J Pharm Sci, 68, 2006, 199-204. http://www.ijpsonline.com/article.asp?issn=0250-474X;year=2006;volume=68;issue=2;spage=199;epage=204;aulast=Ray;type=0 . 82. Dalai M K, Leonard J T & Roy K, Exploring selectivity requirements for peripheral versus central benzodiazepine receptor binding affinity: QSAR modeling of 2-phenylimidazo[1,2-a]pyridine acetamides using topological and physicochemical descriptors. Indian J Biochem Biophys, 43, 2006, 105-118. 81. * De K, Roy K, Sengupta C, Evaluation of ascorbic acid, probucol and alpha-tocopherol as suppressor of dexamethasone induced lipid peroxidation. Acta Pol Pharm, 62, 2005, 257-264. 80. * Roy K & Ghosh G, QSTR with extended topochemical atom (ETA) indices. 8. QSAR for the inhibition of substituted phenols on germination rate of Cucumis sativus using chemometric tools. QSAR Comb Sci, 25, 2006, 846-859. http://dx.doi.org/10.1002/qsar.200510211 . 79. Roy K & Saha A, QSPR with TAU Indices: Part 5. Liquid Heat Capacity of Diverse Functional Organic Compounds. J Indian Chem Soc, 83, 2006, 351-355. 78. Roy K & Leonard J T, Topological QSAR modeling of cytotoxicity data of anti-HIV 5-phenyl-1-phenylaminoimodiazole derivatives using GFA, G/PLS, FA and PCRA techniques. Indian J Chem, 45A, 2006, 126-137. 76. * Roy K and Sanyal I., QSTR with Extended Topochemical Atom Indices. 7.QSAR of Substituted Benzenes to Saccharomyces cerevisiae. QSAR Comb Sci, 25, 2006, 359-371. http://dx.doi.org/10.1002/qsar.200530172 . 75. * Roy K and Ghosh G, QSTR with extended topochemical atom (ETA) indices. VI. Acute toxicity of benzene derivatives to tadpoles (Rana japonica). J. Mol. Model, 12, 2006, 306-316, http://dx.doi.org/10.1007/s00894-005-0033-7 . 74. * Leonard J T and Roy K, On selection of training and test sets for the development of predictive QSAR models. QSAR Comb Sci, 25, 2006, 235-251, http://dx.doi.org/10.1002/qsar.200510161 . 71. *Roy K & Lenard J T, QSAR Analyses of 3-(4-Benzylpiperidin-1-yl)-N-phenylpropylamine Derivatives as Potent CCR5 Antagonists. J Chem Inf Model, 45, 2005, 1352-1368, http://dx.doi.org/10.1021/ci050205x . 70. * Bhattacharya P & Roy K, QSAR of Adenosine A3 Receptor Antagonist 1,2,4-Triazolo[4,3-a]quinoxalin-1-one Derivatives Using Chemometric Tools Bioorg Med. Chem Lett., 15, 2005, 3737-3743. http://dx.doi.org/10.1016/j.bmcl.2005.05.051 . 69. Chakraborty S, Sengupta C & Roy K, Exploring selectivity requirements for COX-2 versus COX-1 binding of 2-(5-Phenyl-pyrazol-1-yl)-5-methanesulfonylpyridines using topological and physico-chemical parameters, Indian J Biochem Biophys 42, 2005, 106-112. 57. * Leonard J T & Roy K, QSAR Modeling of Anti-HIV Activities of Alkenyldiarylmethanes Using Topological and Physicochemical Descriptors. Drug Des Discov, 18, 2003, 165-180. 56. Roy K & Saha A, QSPR with TAU Indices: Boiling Points of Sulfides and Thiols. Indian J Chem, 43A, 2004, 1369-1376. 49. * Roy K & Ghosh G, QSTR with Extended Topochemical Atom Indices. 3. Toxicity of Nitrobenzenes to Tetrahymena pyriformis. QSAR Comb Sci, 23, 2004, 99-108. http://dx.doi.org/10.1002/qsar.200330864 . 48. * Roy K & Ghosh G, QSTR with Extended Topochemical Atom Indices. 2. Fish Toxicity of Substituted Benzenes. J. Chem. Inf. Comput. Sci., 44, 2004, 559-567. http://dx.doi.org/10.1021/ci0342066 . 47. * Toropov A A & Roy K, QSPR Modeling of Lipid-Water partition Coefficient by Optimization of Correlation Weights of Local Graph Invariants. J. Chem. Inf. Comput. Sci., 44, 2004, 179-186. http://dx.doi.org/10.1021/ci034200g . 45. * Leonard, J T & Roy K, Classical QSAR Modeling of HIV-1 Reverse Transcriptase Inhibitor 2-Amino-6-arylsulfonylbenzonitriles and Congeners. QSAR Comb Sci, 23, 2004, 23-35. http://dx.doi.org/10.1002/qsar.200330845 . 44. Roy K, Chakraborty S, Ghosh C C & Saha A, QSPR with TAU Indices: Molar Thermochemical Properties of Diverse Functional Acyclic Compounds, J Indian Chem Soc, 81, 2004, 115-125. 43. * Roy K & Ghosh G, Introduction of Extended Topochemical Atom (ETA) Indices in the Valence Electron Mobile (VEM) Environment as Tools for QSAR/QSPR Studies, Internet Electron J Mol Des, 2, 2003, 599-620, http://www.biochempress.com . 42. * Roy K, Chakraborty S & Saha A, Exploring Selectivity Requirements for COX-2 vs. COX-1 binding of 3,4-diaryloxazolones using E-state index, Bioorg. Med. Chem. Lett., 13, 2003, 3753-3757, doi:10.1016/j.bmcl.2003.07.002 . 41. * Roy K & Saha A, QSPR with TAU Indices: Water Solubility of Diverse Functional Acyclic Compounds. Internet Electron J Mol Des, 2, 2003, 475-491, http://www.biochempress.com . 40. * Roy K & Saha A, Comparative QSPR Studies with Molecular Connectivity, Molecular Negentropy and TAU Indices. Part I : Molecular Thermochemical Properties of Diverse Functional Acyclic Compounds, J. Mol. Model. 9, 2003, 259-270. http://dx.doi.org/10.1007/s00894-003-0135-z . 39. * Roy K, QSAR of Adenosine Receptor Antagonists II: Exploring Physicochemical Requirements for Selective Binding of 2-Arylpyrazolo[3,4-c]quinoline Derivatives with Adenosine A1 and A3 Receptor Subtypes. QSAR Comb Sci, 22, 2003, 614-621. http://dx.doi.org/10.1002/qsar.200330821 . 38. * Roy K & Saha A, Comparative QSPR Studies with Molecular Connectivity, Molecular Negentropy and TAU Indices. Part II: Lipid-Water Partition Coefficient of Diverse Functional Acyclic Compounds. Internet Electron J Mol Des, 2, 2003, 288-305, http://www.biochempress.com . 37. Roy K, De A U & Sengupta C, QSAR of Peripheral Benzodiazepine Receptor Ligand 2-Phenylimidazo[1,2-a]pyridine Derivatives with Physicochemical Parameters. Indian J Biochem Biophys, 40, 2003, 203-208. 36. Roy K, QSAR of adenosine receptor antagonists I : Exploration of receptor interaction sites of 1,2-dihydro-2-phenyl-1,2,4-triazolo[4,3-a]quinoxaline-1-one derivatives using AM1 calculations. Indian J Chem, 42B, 2003, 1485-1496. 35. Saha A, Roy K, De K & Sengupta C, Effect of Norgestrel on Blood-Lipid Constituents in Relation to its Biological Activity, Indian J Pharm Sci, 65(2), 2003, 171. 32. * Roy K, De A U & Sengupta C, QSAR with Electrotopological State Atom Index : Human Factor Xa Inhibitor N2-aroylanthranilamides. Drug Des Discov, 18, 2002, 33-41. 30. Saha A, Roy K, De K & Sengupta C, QSAR with Electrotopological State Atom Index : Part IV. - Receptor Binding Affinity of Progestagens. Indian J Chem, 41B, 2002, 1268-1275. 28. De K, Roy K, Saha A & Sengupta C, QSAR with electrotopological state atom index. Part V. Anti-inflammatory activity of 7 -halogenocorticosteroids and their derivatives. J. Indian Chem. Soc., 79, 2002, 513-519. 25. De K, Roy K, Saha A & Sengupta C, Hydrocortisone-induced lipid peroxidation and its inhibition with various antioxidants. Indian J Pharm Sci, 63, 2001, 379. 24. Saha A, Roy K, De K & Sengupta C, Effect of contraceptive estradiol on blood-lipid. Indian J Pharm Sci, 63, 2001, 317. 23. Roy K, Sengupta C & De A U, Theoretical aspects of Rational Drug Design --- An overview. J Sci Ind Res, 60, 2001, 699. 21. Roy K, QSAR of matrix metalloproteinase inhibitor (S)-3-methyl-2-(substituted biphenyl-4- sulfonylamino)butyric acids using principal component factor analysis. Indian J Chem, 40B, 2001, 688-697. 20. Roy K, Pal D K, Saha A & Sengupta C, QSAR with electrotopological state atom index : Part II. Antimalarial activity of dihydroqinghaosu derivatives. Indian J Chem, 40B, 2001, 587-595. 19. Roy K, Pal D K, Ghosh C C, De A U & Sengupta C, QSAR by Fujita-Ban approach of antileukemic 1-[(3-(dialkylamino)propyl)amino]-4-methyl-5H-pyrido[4,3-b]benzo[e] indoles and –benzo[g]indoles. Indian J Chem, 40B, 2001, 209. 18. * Roy K, Pal D K, De A U & Sengupta C, QSAR of antineoplastics IV : Hansch analysis of N-(7-indolyl)benzenesulfonamides against KB human nasopharynx carcinoma, colon 38 murine adenocarcinoma and P388 murine leukemia cell lines. Drug Design and Discovery, 17, 2001, 199-206. 16. Roy K, Pal D K, De A U & Sengupta C, Comparative QSAR studies with molecular negentropy, molecular connectivity, STIMS and TAU indices. Part II : General anaesthetic activity of aliphatic hydrocarbons, halocarbons and ethers Indian J Chem, 40B, 2001, 129-135. 15. Saha A, Roy K, De K & Sengupta C, QSAR with electrotopological state atom index. Part 3. Receptor binding affinity of estrogens and non-steroidal estrogen analogs. J Indian Chem Soc, 78(2), 2001, 92. 13. * Roy K, Pal D K & Sengupta C, Hansch analysis of antimalarial cyclic peroxy ketals with physicochemical and electrotopological parameters. Drug Design and Discovery, 17(2), 2000, 183. 11. Roy K, Pal D K & Sengupta C, Hansch analysis of Hansch analysis of antitumor 4 -(arylamino)-4-desoxypodophyllotoxins and their 4/-demethyl analogs, J Indian Chem Soc, 77(9), 2000, 428-432. 9. De K, Roy K, Saha A & Sengupta C, Studies on protective effects of glutathione and tocopherol on norethindrone induced lipid peroxidation. Indian J Pharm Sci, 62(5), 2000, 343-346. 8. Saha A, Roy K, De K & Sengupta C, Effects of allylestranol in relation to its biological activity. Indian J Pharm Sci, 62(2), 2000, 115-118. 7. Roy K, Saha A, Chakraborty S & Sengupta C, Effects of Ceftizoxime, Ceftriaxone and Acyclovir on Goat Whole Blood Phospholipids in Relation to Their Therapeutic Activities. Indian J Pharm Sci, 62(1), 2000, 46-50. 6. Roy K, Pal D K, De A U & Sengupta C, Hansch Analysis of Anticancer Activities of C2-modified Paclitaxel Analogs against Human Ovarian Carcinoma 1A9, Human Colon Carcinoma HCT116 and Human Burkitt Lymphoma CA46 Cell Lines. Indian J Chem, 38B, 1999, 1194-1202. 5. Roy K, De A U & Sengupta C, QSAR with electrotopological state atom index : Antiadrenergic activity of N,N-dimethyl-2-bromo-2-phenylethylamines. Indian J Chem, 38B, 1999, 942-949. 4. Roy K, Pal D K, De A U & Sengupta C, Comparative QSAR with molecular negentropy, molecular connectivity, STIMS and TAU indices : Part I. Tadpole narcosis of diverse functional acyclic compounds.Indian J Chem, 38B, 1999, 664-671. 3. Roy K, De A U & Sengupta C, Ceftriaxone induced lipid peroxidation and its inhibition with various antioxidants. Indian J Pharm Sci, 61(2), 1999, 76-80. 2. Roy K, Rudra S, De A U & Sengupta C, Evaluation of ascorbic acid as inhibitor of lipid peroxidation induced by cefotaxime sodium and metoprolol. Indian J Pharm Sci, 61(1), 1999, 44-47. 1. Roy K, Rudra S, De A U & Sengupta C, In vitro studies on effects of cefotaxime sodium and metoprolol tartrate on goat whole blood phospholipids. Indian J Pharm Sci, 60(3), 1998, 153-157.